Citing lost hunting rights in Wood Buffalo National Park dating back to 1922, the Northwest Territory Métis Nation is seeking $120 million in compensation; it also wants the story of how their rights were extinguished included in the park's history. The Northwest Territory Métis Nation is asking the federal government for $120 million in compensation and the inclusion of the history of how Métis hunters and trappers lost their traditional hunting rights soon after the Wood Buffalo National Park was established in 1922. 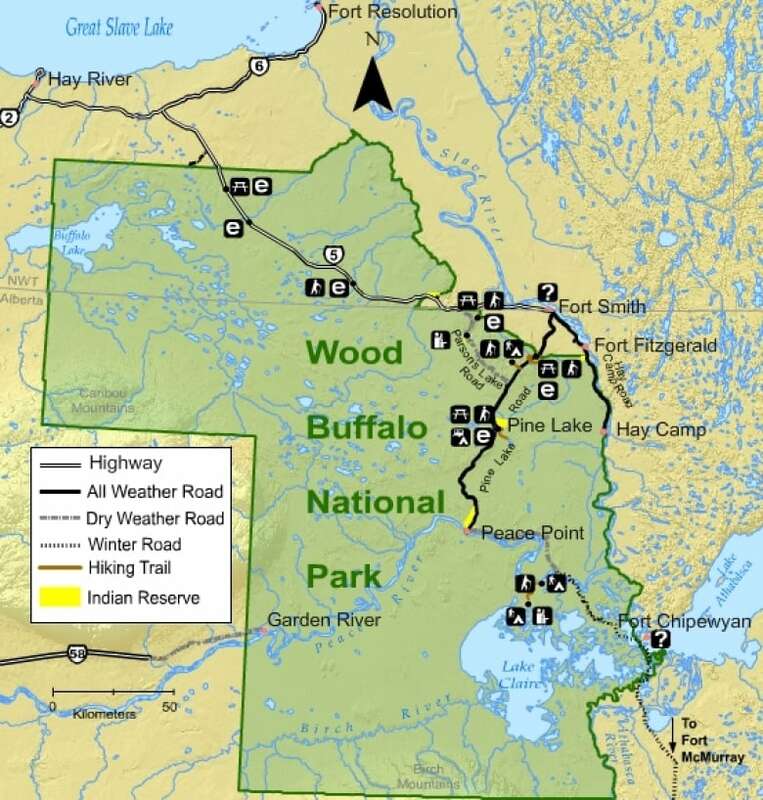 The Wood Buffalo National Park is the country's largest national park. 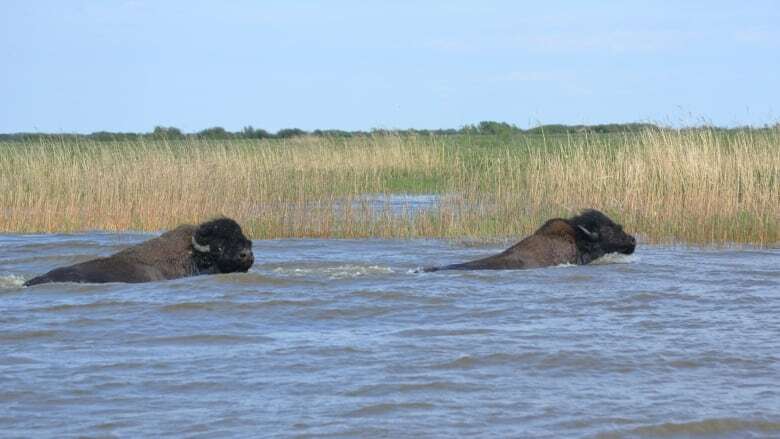 It was established, in part, to help protect the wood bison and other at-risk species in the area. Through treaties, First Nations groups in the region have been afforded hunting rights in the park — with restrictions — but Métis were not included. "There's a lot of hardship done to our people because of that," said Garry Bailey, the president of the Northwest Territory Métis Nation. "People were forced to move away from their communities and harvest in other places." Last year, the Métis Nation sent a letter to the Minister Responsible for Parks Canada, Catherine McKenna, expressing their concerns, as well as their request for compensation. Wood Buffalo Park is Canada's largest national park, at nearly 45 thousand square kilometres, and covers much of northeastern Alberta and the southern Northwest Territories. (Parks Canada)The letter states that Métis hunters and trappers used the park for generations, "well before the establishment of government in the area," but after Wood Buffalo National Park was created, their harvesting rights in the park were stripped. The letter said that information provided on Parks Canada's website omitted details on how the Métis were mistreated, stating that readers are misled into thinking that Indigenous peoples' harvesting rights were granted after careful review and consultation with Indigenous peoples. The Métis Nation says that, in reality, only treaty First Nations were allowed to harvest, eventually claiming Métis traplines and hunting areas after they were forced out. "I think it's important to say the true history of Wood Buffalo [National Park]," said Bailey. "The year it was established, why it was established, what happened to the Métis people that were there. "You know it doesn't ever mention anything about Métis. It's as if we've never existed when they talk about the Wood Buffalo National Park area." Métis are currently allowed to harvest in the park, according to Bailey, but that is not reflected in park policy, something that he said needs to change. "They're just kind of turning a blind eye and saying 'well, we'll just let you do it,'" he said. Garry Bailey says that the history of the Métis people in the Wood Buffalo area has been swept under the rug by Parks Canada: 'It’s as if we’ve never existed when they talk about the Wood Buffalo National Park area.' (Provided by N.W.T. Métis)Four months after the letter was sent, Minister McKenna responded to some of their concerns with a letter of her own. In the letter, McKenna said that "relationship building and reconciliation" between Parks Canada and the Métis Nation is a priority for the federal government, adding that the park's website — and all Parks Canada websites — are currently under review and hope to better reflect "the history of the Park and the progress being made with Indigenous partners." "At Parks Canada, our hope is that Métis organizations will be instrumental in efforts to accurately record and fairly present the natural and cultural heritage of the park," the letter read. The letter goes onto to say that Parks Canada is interested in exploring other reconciliation efforts with 11 Indigenous groups that also have interests in the park, referring the Métis Nation to contact the field unit superintendent to share their thoughts on potential activities that would contribute to reconciliation. However, there was no mention of monetary compensation. To Bailey, that is unacceptable. "They've dodged the whole issue as far as I'm concerned," he said. "They put it off to a table where it doesn't belong there. It needs to be dealt with on its own with the federal government and not with all the other Aboriginal groups because it's a Métis issue." The Métis Nation is requesting $120 million — put into a trust fund — to cover for the loss of income and the adverse impacts of losing their rights to harvest fur and wildlife in the park for the last 80 years. Bailey said their request is a modest number, and that their issues with rights in Wood Buffalo have been ignored for far too long. The Métis Nation is currently in the midst of negotiating a land claim and he says part of the talks is to negotiate "our fair share of land in Wood Buffalo. "Government has to look at it when they're talking about reconciliation with Aboriginal people. Métis are one of the Aboriginal people that suffered dramatically because of what they've done to the Métis people in the park," he says. 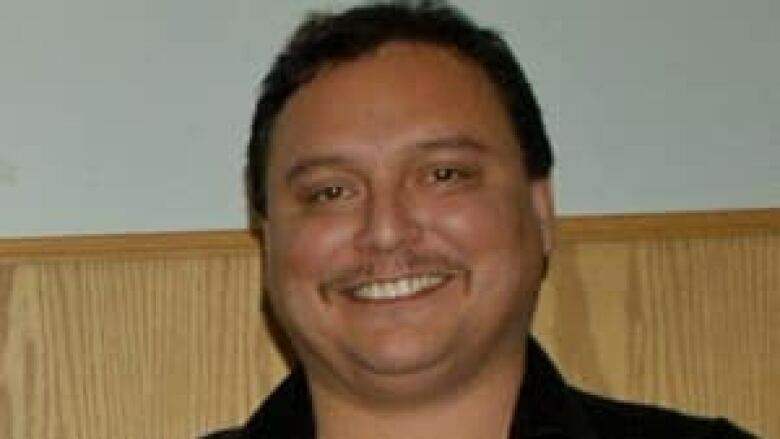 Bailey says he hopes to meet with both the Indigenous Affairs and Northern Development Minister and the Minister Responsible for Parks Canada next month to discuss the issue. In an email, Parks Canada said that negotiations are currently taking place between the Northwest Territory Métis Nation and the federal and territorial governments, and that harvesting rights are one of the matters being negotiated. "Parks Canada is committed to working in partnership with interested Indigenous groups, including the Métis councils and Northwest Territory Métis Nation, to implement reconciliation projects that help to share Indigenous culture and history with visitors," the email reads. "More work needs to be done and will be done as Parks Canada continues reconciliation and engagement efforts." 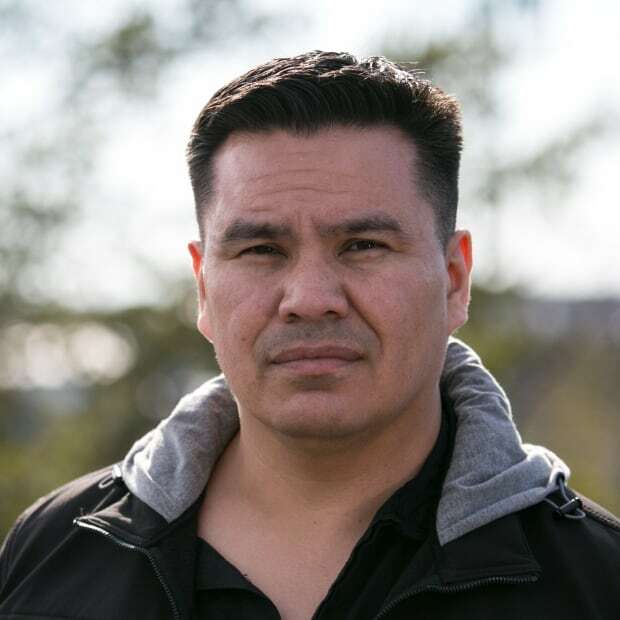 Curtis Mandeville is a reporter for CBC North based in Yellowknife. He is from Fort Resolution, N.W.T.